Our parish is made up of people from a wide variety of religious and ethnic backgrounds – some of us are “cradle Orthodox,” but most of us have come from traditions like Evangelical Protestant, Roman Catholic, Mormon, Episcopal, Baptist, non-denominational, Presbyterian, Disciples of Christ, Messianic Judaism, Quaker, etc. Ethnically, we are Russian, Ethiopian, Irish, Italian, Danish, Egyptian, Dutch, African-American, Brazilian, and more. Our parish has about 300 members. Our services are held in the English language and are accompanied by vocal music. Visitors are always welcome at all services. Our parish is named for one of the pivotal events in history – the Annunciation by the Archangel Gabriel to the Virgin Mary about Jesus' birth (see the Gospel of St. Luke 1:26-38). The Feast of the Annunciation, one of the Church's 12 great feasts, is celebrated worldwide on March 25. Annunciation Orthodox Church is part of the Orthodox Church in America (a self-governing church with historical roots in Russia). 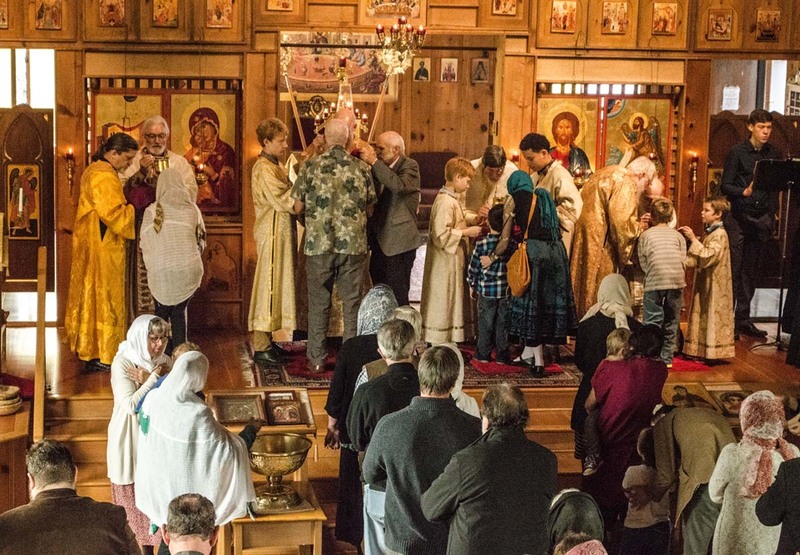 The Orthodox Church, which some have called “the best kept secret” in the United States, is now one of the fastest-growing religious groups in the country. It understands itself to be the first Christian Church, founded by the Lord Jesus Christ. Her history can be traced in unbroken continuity back to the original Pentecost in AD 33 with the descent of the Holy Spirit upon the Apostles. 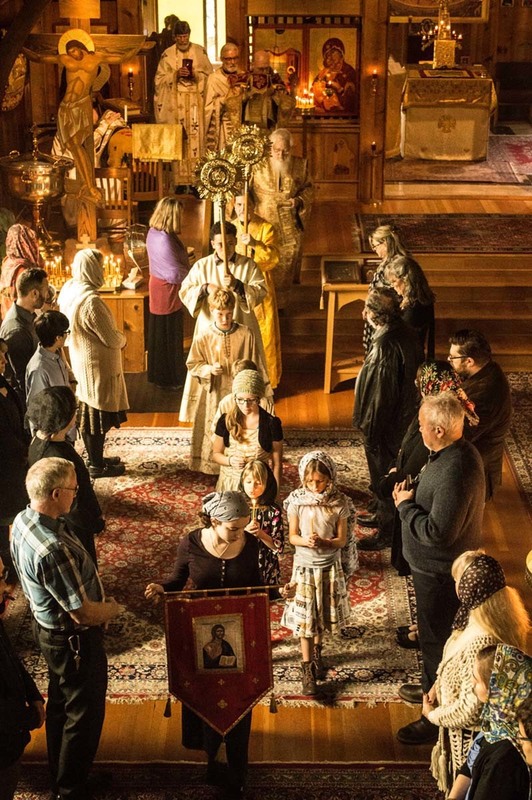 The Orthodox Church has continued her faith and practice without addition or subtraction, and thus her apostolic doctrine, worship, and structure remain intact. For about the first one thousand years of Christian history, there was (in the words of the ancient Nicene Creed) “One Holy Catholic and Apostolic Church.” The word Catholic means “whole” and “universal,” indicating that the Church teaches all that is necessary for human salvation and that the church holds the same beliefs everywhere. The word “Orthodox” means “right belief” or “right glory,” and was used from the first centuries to distinguish true apostolic doctrine and worship from heresies that arose in the early church. In the 11th century the “Great Schism” took place when the Roman Catholic Church, under the pope, separated itself from the rest of the ancient Orthodox churches, with the “filioque” addition to the Nicene Creed and increasing claims of papal authority. Later, various other changes in doctrine and practice were made on the part of the Roman church that further widened the gap between the two churches. The ensuing Protestant Reformation in the 16th century splintered the Roman church and scattered the faithful even more into numerous other denominations. As a local parish, we are devoted to the apostles' teaching, fellowship, breaking of bread, and prayer. We encourage the ministry of the laity through the recognition and use of spiritual gifts, an understanding of the priesthood of all believers, and an emphasis on spiritual disciplines given by the church, including fasting, almsgiving, and prayer. We retain the traditional understanding of the church as a spiritual hospital where we can receive divine help in the struggle to purify our hearts and to be healed in soul and body.